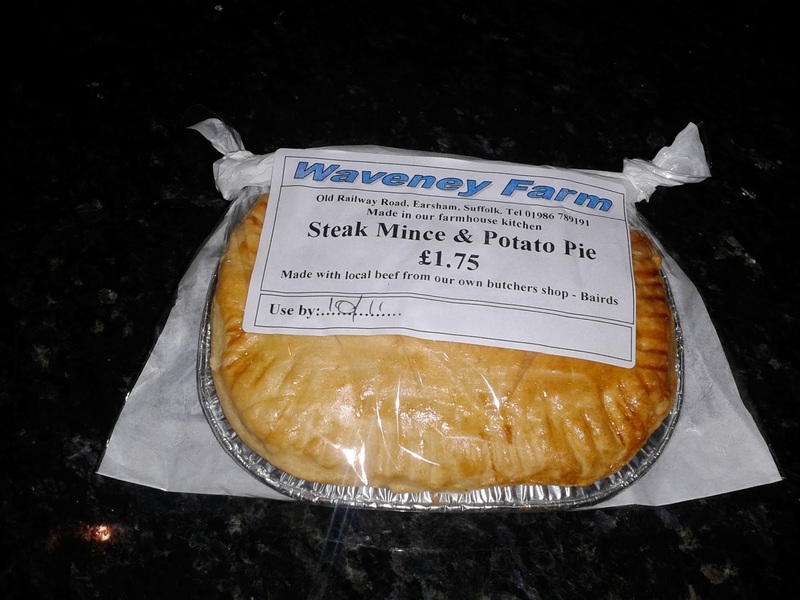 Today sees a return of our Best Pies In Suffolk leaderboard with a Steak Mince and Potato Pie which was purchased from a tiny greengrocers in the lovely town of Bungay. I thought this was basically a posh name for the classic meat and potato flavour, but it tasted more like a Cornish pasty although a bit blander. Don't get me wrong, it was fine, quite meaty for a meat and potato, but it was just so uninspiring I am not even too sure why I am bothering to review it. Perhaps it is just that I haven't done a review for a while. Condition – 4.0 out of 7 - It was a pie in one piece but not a pie that is likely to end up in a gallery after being mistaken for a work of art. Colour – 5.0 out of 7 – Included some of my favourite shades of golden brown. Cheapness – 3.5 out of 7 – If I was paying £1.75 for pure pieces of cow then I would have said it was okay, but potatoes are cheap as chips! Capacity – 3.9 out of 7 – The pie was styled in the classic 'Oval' fashion complete with overhanging pastry rim. This did mean that the actual capacity wasn't great, but on the plus side it was full. Chewiness – 4.0 out of 7 – Slipped down well enough as the meat was mince but the potato had a slight hardness to it, I like it soft in a meat and potato. 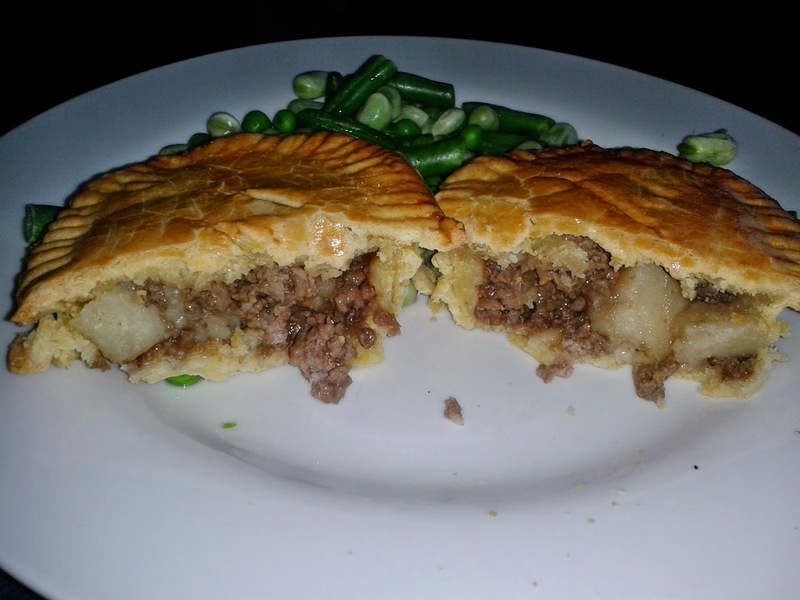 Content – 3.0 out of 7 – Lacking in seasoning, it just tasted of mince, which meant it was meaty but a bit bland. Consistency – 4.0 out of 7 – Generally it worked okay, the pastry overhang was a little dry but in general a nice crisp pastry meant this pie was not a disaster by any means. Just not very interesting and not likely to challenge for the best pie in suffolk title. Nice review, not fallen asleep. You haven't put me off at all so next time I find myself on an awayday in Bungay.... I will! I guess having reviewed so many pies now they can't all be exciting new flavours & 6+ pies! Enjoy!